Protein Simple : Our goal is simply to help researchers gain a better understanding of proteins and their role in disease. We develop and commercialize proprietary systems and consumables for protein analysis that ultimately help reveal new insights into the true nature of proteins. Our goal is to make protein analysis simpler, more quantitative and affordable. Our comprehensive portfolio of tools includes immunoassay systems that quantify protein expression and systems that probe the structure and purity of protein-based therapeutics. A Simple Western size assay is an automated Western – no gels, no transfer devices, no blots, no film and no manual analysis. Simple Westerns take place in a capillary. Wes automates all steps of the process for you including sample loading, protein separation, immunoprobing or labeling, washing, detection and data analysis. Up to 25 samples can be processed in a single run. 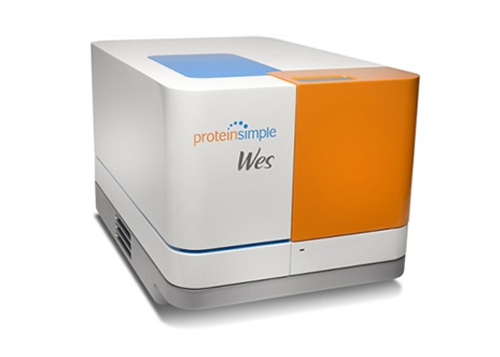 Wes performs Simple Western size-based assays: Immunoassay and Total Protein assay. All you have to do is pipette your samples and immunoreagents into Wes’s pre-filled plate, load the capillary cartridge and press start. 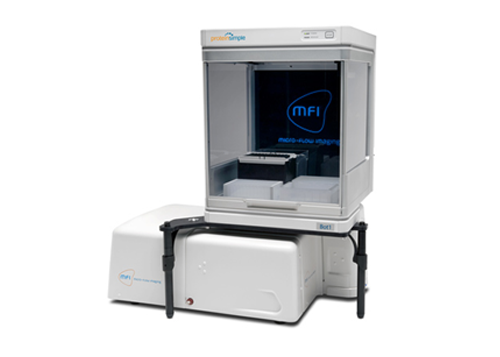 Micro-Flow Imaging : MFI 5000 Series Micro-Flow Imaging™ combines the direct imaging capabilities of digital microscopy with the precise control of microfluidics. What does that get you? 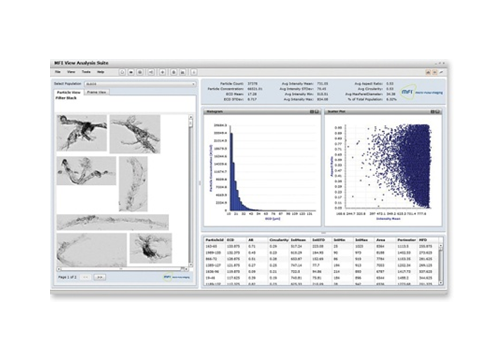 High resolution images with 85% sampling efficiency… more precise counts and sizing with full morphological detail for all subvisible particles in your sample… the complete confidence that you can accurately identify every possible type — from protein aggregates to air bubbles.